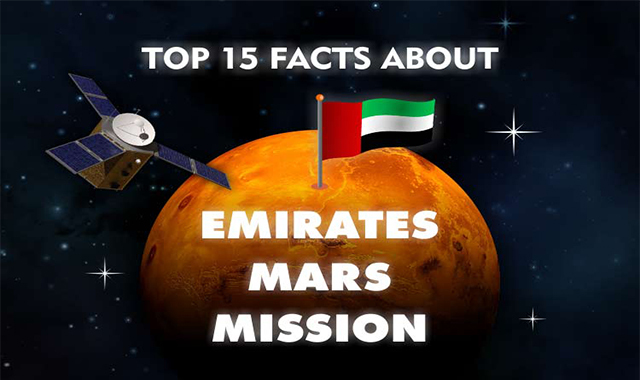 Top 15 Facts About Emirates Mars Mission #infographic ~ Visualistan '+g+"
The spacecraft is set to arrive at Mars in 2021 to coincide with the 50th anniversary of the founding of the UAE. The rocket must blast off from Earth during a brief “launch window” in July 2020. This is because the Earth and Mars orbit the Sun at different rates, and are aligned at their closest point only once every two years. If any part of the mission is not ready in time or fails at the last minute, there may be no second chance.